An old cat was in the habit of catching all the mice in the barn. One day the mice met to talk about the great harm that she was doing them. Each one told of some plan by which to keep out of her way. “Good! Good!” said all the other mice and one ran to the get the bell. “Now which of you will hang this bell on the cat’s neck?” said the old gray mouse. “Not I! Not I!” said all the mice together. And they scampered away to their holes. And the old cat continued to catch and eat them, and so they never lived to reach full old age. It is past 10 at night. The lights are off (as ‘usual’), and everybody is trying to catch some sleep. Fortunately for me, my neighbours still have their generator on and the noise is bouncing around my room – making sleep next to impossible, so I grab my computer - and get to work. While checking through the ‘Book of Virtues’, by William J. Bennett, I found an ancient oath that was taken by Athenian youths at the age of 17, but before we get to it – let’s look at some background. Can you remember the last time you actually stopped to listen to the national anthem? You know, kids learn early that the people who talk the most often have the least action. You know - back in the days when I would get together with my friends and plan all sorts of trouble, there were these guys who always seemed to have the craziest ideas. With time, I found out that these guys actually had the least action, and talk was all they could do. Today, it seems as though that part of my history is becoming relevant again, and we seem to have come to a place where we (me included) find it easier to talk than to act. However, that is about to change... See, I understand that talking about something actually requires one kind of courage, but actually doing a thing requires more courage. According to William J. Bennett, real bravery lies in deeds, not words. Yes, it is easier to talk, easier to complain, easier to whine and wail, easier to talk about solutions in our rooms and among our friends, and in the words of ‘Deolu Akinyemi – engage in intellectual masturbation. But today, as a people - we stand at a junction in our history where we have to carry the battle to the opponent’s camp. Yes, we will talk, we will blog, and we will write, we will complain, and we will make plans; but more than that, we will DO. In the words of Neil Eskelin, achievement requires more than a vision – it takes courage, resolve and tenacity. I ask today, are you ready to give the fight for change all it takes? 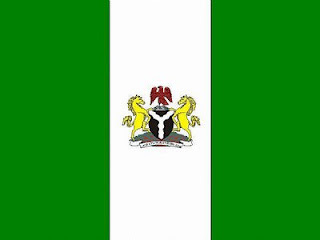 I believe in a Nigeria with a government of the people, by the people, and for the people; whose just powers are derived from the consent of the governed; and a nation established upon the principles of freedom, equality, justice and humanity. According to Deolu Akinyemi, what Nigeria needs now is right political leadership and an enlightened followership. However, if you and I refuse to do something about it, the same old cycle will repeat itself; and we will push the responsibility for crossing this Rubicon to the next generation. We will try, and we will keep trying. In the event that we fail, we will try again and again, until we win the battle for change – and the future gets the chance to grow up in a better environment with more opportunities than we had. We will never bring disgrace on this our Nation by an act of dishonesty or cowardice. We will fight for the ideals and Sacred Things of the Nation both alone and with many. We will revere and obey the Nation’s laws, and will do our best to incite a like reverence and respect in those above us who are prone to annul them or set them at naught. We will strive increasingly to quicken the public’s sense of civic duty. Thus in all these ways, we will transmit this Nation, not only not less, but greater and more beautiful than it was transmitted to us. I took this oath yesterday, and by so doing signed up in the future movement. What are you waiting for? Read more at Deolu’s blog. What's up with ASUU vs FG! BRAZIL (3) vs USA (2); you (x) vs 2009 (y)!